Darul Aman Team Run 2018 | JustRunLah! Train together, why not win together? Now you can win as team. Its not a relay run, it’s a team run! Yes, you can run together. We Are the Co-Organizer of the NASOM Charity Run 2016 Which have successfully generate Over RM60,000 in Charity FUND, with a record of 1300+ Participants. Now, we are trying to make running as a friendship and teamwork tools by introducing the team running event. We will bring up new Running excitement into Darulaman Town…its TEAM Run!! !, More joy and victory will be shared together with your Family and friends. Open To All, Malaysian Only. This team run will consist of minimum 3 members for each team until maximum 5 members per team which can mixed gender if needed. 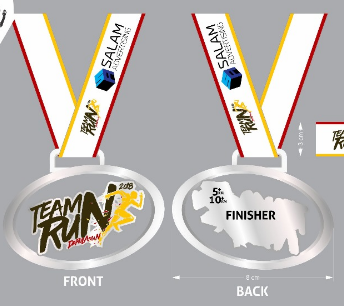 However, the winner team only determined by the top 3 member’s early finisher (counted total point), we encourage each team to have 4 registered members to make sure no disqualification if one of the members may not finish the run due to injuries or any unexpected incident.